​Yellow Cab of Victoria offers the fastest, most convenient taxi service in Victoria and surrounding areas. 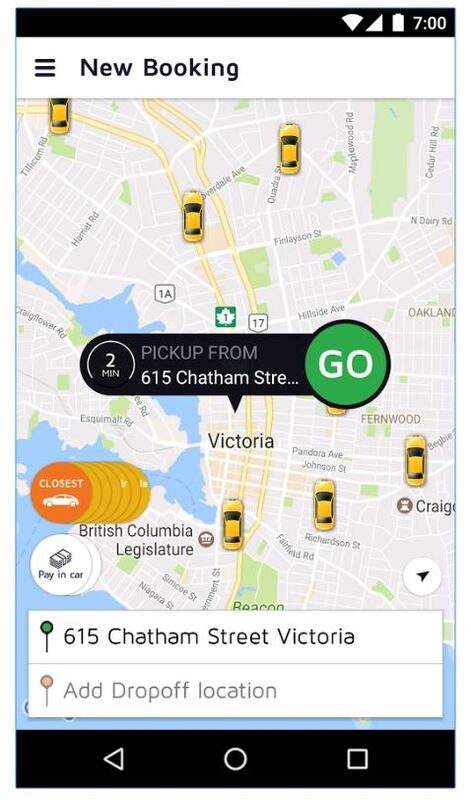 Yellow Cab Taxi Service is an owner-operated company serving the people of Greater Victoria since 1921. Yellow Cab of Victoria is dedicated to provide a safe, courteous and efficient taxicab service. With rigorous safety standard, a computerized dispatch system. Credit and Debit card convenience in each vehicle. We promise complete customer satisfaction with each and every ride. 24 Hour service, 365 days a year. Fastest, most reliable taxi service in Victoria. City & Butchart Gardens Tours. 5 & 6 Passenger vans. We Accept all Major Credit, Debit Cards & U.S currency.